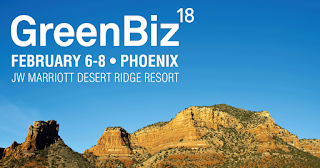 GreenbBiz 18 will take place on Februry 6 - 8, 2018 in Phoenix, Arizona at the JW Marriott Desert Ridge. 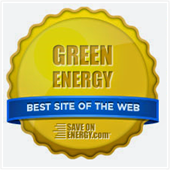 This is the premier annual event for sustainable business leaders. 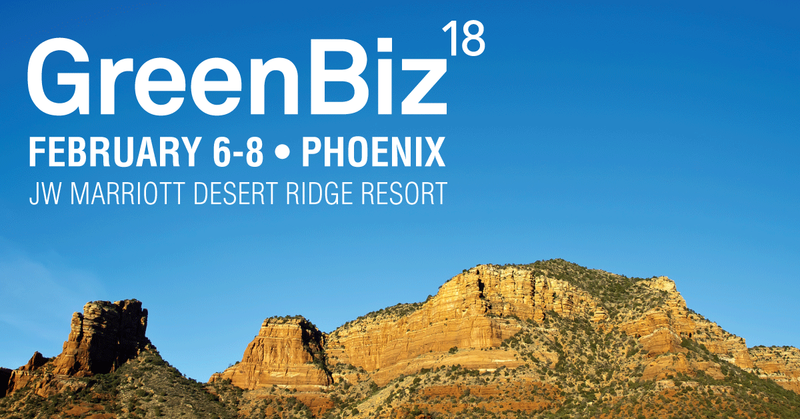 GreenBiz 18 will look at pressing challenges, emerging trends and big opportunities in sustainable business today. GreenBiz offers forward-looking big picture ideas mixed with practical things you can take back to the office. 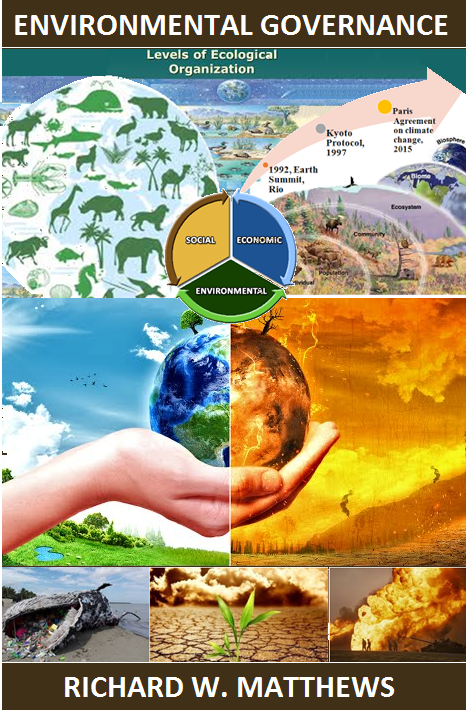 Join the world’s brightest thinkers and most influential sustainability leaders . More than 1,000 sustainability leaders from the business world, academia and NGOs will be in attendence to learn about the latest trends, make new connections with suppliers and peers and bring back innovative, actionable ideas. 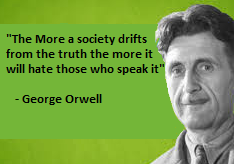 Check out the list of more than 160 speakers. Anita Kedia Senior Business Development Manager Waste Management Inc.
Catherine Banat Institutional Portfolio Manager RBC Global Asset Management (U.S.) Inc.
Erin Robert Head of Capital Strategies JPMorgan Chase & Co.
Jeff Wooster Global Sustainability Leader Dow Chemical Co.
Kevin Rabinovitch Global VP Sustainability Mars, Inc.
Lee O'Dwyer Sales Team Lead Bloomberg L.P.
Nell Fry Senior Manager Sustainability Field Support Sodexo Inc.
Nicole Labutong Technical Manager, Science Based Targets CDP North America Inc.
Samara Rudolph Director, Global Sustainability and Philanthropy Tiffany & Co.
Winston Vaughan Senior Manager for Renewable Energy Ceres, Inc.